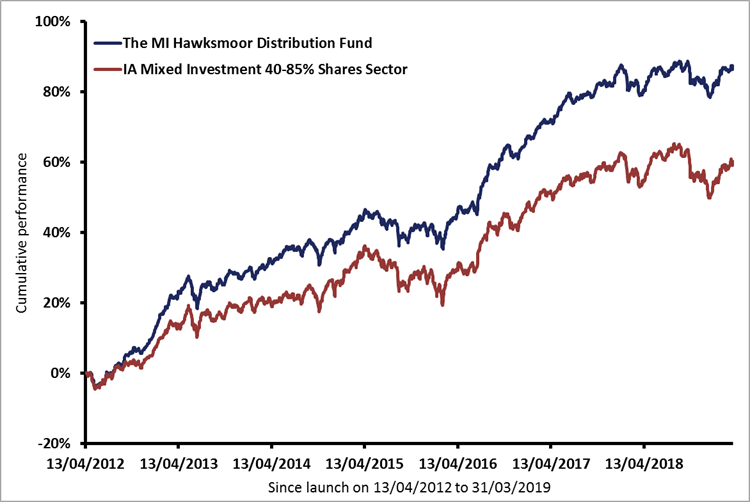 Launched in April 2012, the MI Hawksmoor Distribution Fund’s primary aim is to deliver an attractive level of income. The Fund is designed to have broad appeal and to be a core long-term investment for any of your clients who are looking for actively managed exposure to financial markets with income as a priority. 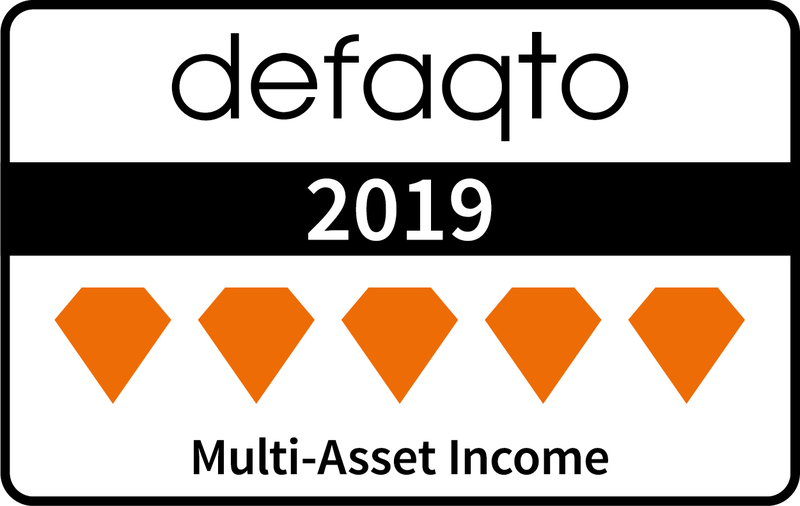 In doing this, we will aim to ensure the Fund’s yield will always be at a premium to a composite index of financial asset classes (equities, bonds, property and cash). The intention is to increase the distribution alongside an increase in capital growth in order to maintain an attractive distribution yield for new and existing investors. Therefore, your clients should expect to receive a total return on their investment that will be somewhat correlated to financial markets given the Fund’s fully invested, albeit diversified, portfolio. In order to meet this objective, we will invest in a range of income producing financial assets via both open and closed-ended funds. We use closed-ended funds to gain exposure to high income producing asset classes, such as specialist property and alternative fixed income. As a constituent of the Investment Association’s Mixed Investment 40-85% Shares Sector, the Fund will at all times have a minimum of 40% and a maximum of 85% in equities. For an up-to-date price of the Distribution Fund, click this link to our administration provider Maitland. Source: Financial Express Analytics. GBP total return, C Acc units (performance history extended where required). The chart below shows the percentage of times, looking back through history, that the Distribution Fund’s rolling 1, 3 and 5 year performance has been in the 1st (top), 2nd, 3rd or 4th (bottom) quartile relative to its sector, the IA Mixed Investment 40-85% Shares Sector. Rolling periods begin at each quarter end since Distribution’s launch, starting from the 13/04/2012. Source: Financial Express Analytics GBP Total Return B Acc. 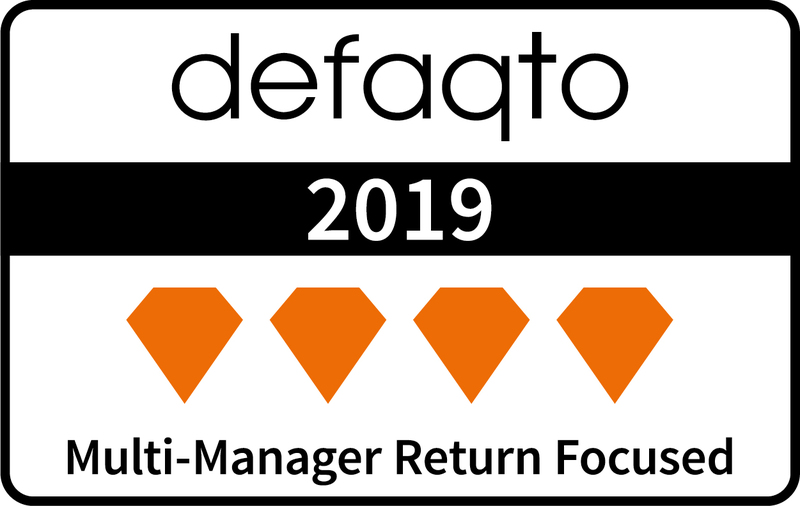 Quarterly from 30/06/2012 to 31/03/2019. Relative to IA Mixed Investment 40-85% Shares Sector. May not sum to 100% due to rounding error. Our Fund Manager team publishes research articles on topics that are of specific interest to investors in our Funds. If you are a finance professional, click here for guides and brochures that explain our services, and application forms. You can also find archived factsheets, commentaries and quarterly reports.